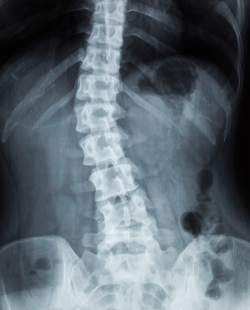 On site diagnostic x-rays of the spine and extremities. Therapeutic exercise, neuromuscular re-education, stretching, strengthening, electrical muscle stimulation and ultrasound are used to expedite recovery in an orthopedic setting. Patients can be given a home exercise program to be used in conjunction with their in-office treatment. They are also instructed in the proper execution of home and work activities. A computerized traction force applied to the discs of the spinal column reducing intradiscal pressure, nerve impingement and pain. 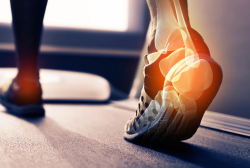 syndrome, tennis elbow, hip bursitis and plantar fasciitis. Manipulation of the spinal bones to correct misalignment, improve biomechanics and reduce nerve interference. Gives support and stability to joints and muscles. Used to help increase range of motion, decrease edema and improve strength. A natural gel that provides added cushion to the joint and can provide long lasting pain relief for relief for knee osteoarthritis. Commonly used to improve energy, mood concentration and the immune system. B12 is required for the proper function and development of the brain, nerves, blood cells and many other parts of the body. Trigger points are focal areas of spasm and inflammation in muscle that cause localized and referred pain patterns. Trigger point injections use an ultra fine needle to deliver a small amount of numbing medicine that helps reduce pain and spasms. Used to effectively treat painful shoulders, elbows, knees and sacro iliac joints by reducing inflammation and stimulate the body’s natural healing process. A gait scan can be provided to patients to see if orthotics are needed. Orthotics will rebalance the feet, reducing pain and discomfort by enhancing the body’s natural movements. We offer nutritional evaluations and carry several lines of medical grade supplements. We insert ultra-fine, sterile needles at specific energy points called meridians to correct disruption to energy pathways in the body. Our Age Management Program employs a comprehensive evidence-based approach to optimizing your health function and reduce the symptoms of aging. Each medical plan is customized to the individual based on symptoms, lab and biometric testing. Treatment plans may include: hormone optimization, vitamins/supplements, prescriptions, nutrition and diet plans. Get in touch with our Brecksville Physical Medicine team today!